At its core, innovation is about solving someone’s problem. To do it right, you need to understand the person and their job to be done better than they understand it themselves. You need to know their motivations, frustrations and inspirations. This ability to understand your customers needs better than they understand themselves is what separates inventors from innovators. 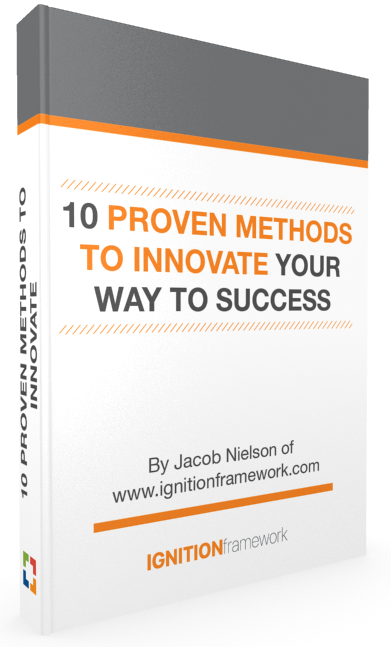 Inventors create solutions while innovators create solutions that resonate with customers. To that end, how do you get to know your customers and their problem better than they understand it themselves? The first step is surprisingly simple: get out of the building. 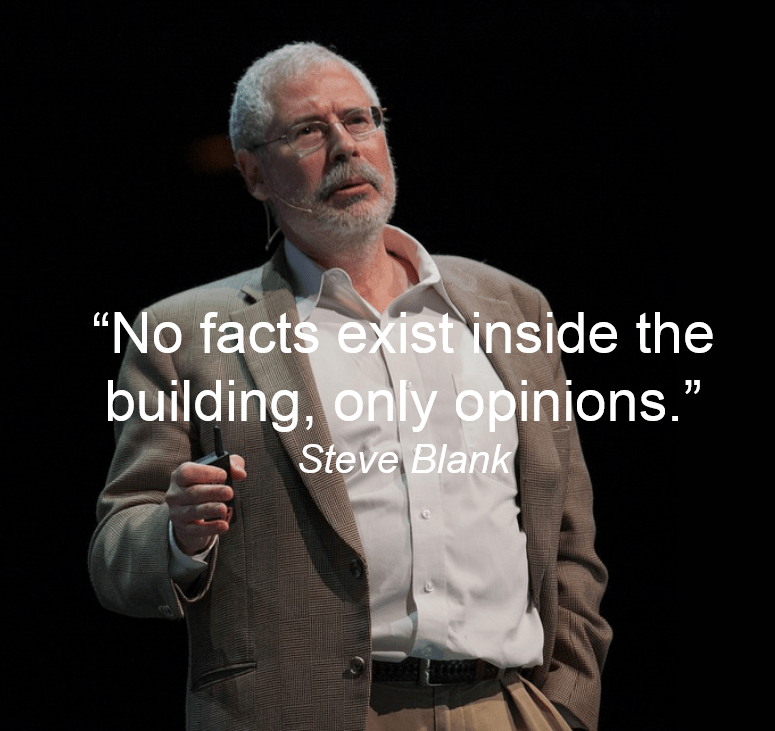 Steve Blank, one of the most influential startup mentors in Silicon Valley and founder of the Lean Startup movement, teaches this maxim on his blog because it’s so important. Too often we get trapped in this mindset, usually driven by corporate culture, that to put in a full days work you need to be at the office. Sometimes this is true when your path is clear and it’s all about executing known tasks. 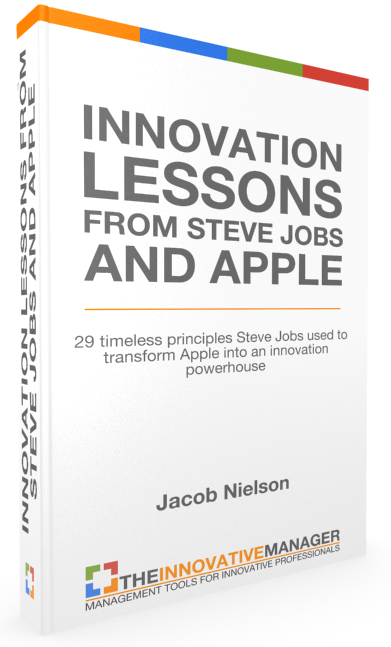 But when it comes to innovation in it’s early stages, the most important thing is to leave the office and talk to as many customers as you can. The point of this is to ensure you know your customers challenges better than they know themselves. Here’s a quick test to find out if you know your customers well enough…how do you answer the following question? If your answer is generic like “lawyers” then you failed the test. The problem with that answer is you don’t know exactly what kind of lawyer you’re talking about. I highly doubt your solution is going to be relevant for all lawyers but this is the trap we fall into – thinking that our solution is important to pretty much everyone in some broad category. However if your answer was “female lawyers who started a new law practice within the last 6 months and who have an active LinkedIn profile.” Bingo. Now we’re getting somewhere! Let’s suppose that your company wants to make a social media lead generation platform for lawyers and you want to learn more about what your customers will want in this platform. So with that as background, what’s the difference between the two customer descriptions above? The answer is focus. The first is like trying to boil an ocean, the second is much more focused and manageable. As we talk about customer development it’s important to note that the term doesn’t mean that you’re going to change your customers. Far from it actually. The thing we are developing is your concept of your customer – not your customer herself. 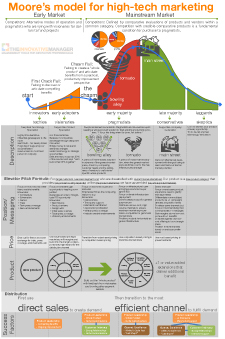 Customer development follows a similar path to product development in that you start off with a prototype concept of who your customer is – in this case lawyers – and continue to refine that concept until you identify a profile of a customer who will consistently show interest in your offering. Suppose that after you document your initial concept of who your customer is you find something intriguing in your customer/market research. Let’s suppose you came across an article that found that lawyers with long hair preferred using social media more than lawyers with short hair. This sounds like a great insight so you add it to your current understanding of your customer. This is like going from the stick figure to the stick figure with long hair. While that insight is helpful, it’s still not enough to fully understand who your customer is and what their problems are. The trouble arises in that if you stop at that insight and build based on this un-tested idea of your customer then you might end up making something that’s perfect for the Rastafarian lawyer rather than your true customer and the market of Rastafarian lawyers might be too small to support your business. This is the mistake made time and time again – building something with only a superficial concept of who the customer is. To avoid that mistake it’s important to get out of the building and talk to as many potential customers as possible and continue to iterate on your concept of who they are to the point that you can predict the different responses between customer segments. However if you’re already somewhat familiar with your customers and just want to refresh your thoughts of them and/or test an initial concept of them you can use the jobs, pains and gains format as presented in the Customer Profile Canvas. Before going out and talking with customers it’s a good idea to capture your initial assumptions about them in this format. 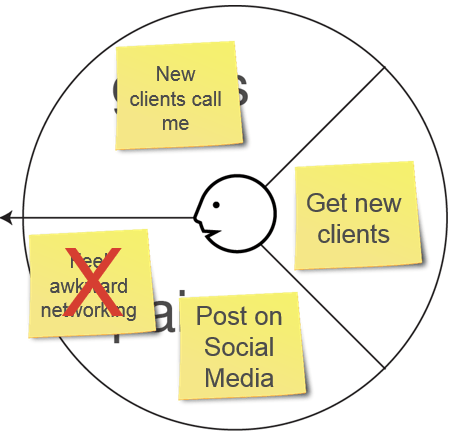 So in continuing the new lawyer example you could put up a big printout of the Customer Profile Canvas on the wall and fill it with sticky notes or you could just write out your assumptions on a printed copy of the Customer Profile Canvas. Either way it’s important to document your assumptions so you can properly test and either validate or invalidate them when you go to talk with your potential customers. Now that we have a reasonable customer profile to work with (keep in mind the above steps may need to be repeated multiple times before moving on), we can start brainstorming various solutions that will help resolve our target customers pains and create some gains for them as well. 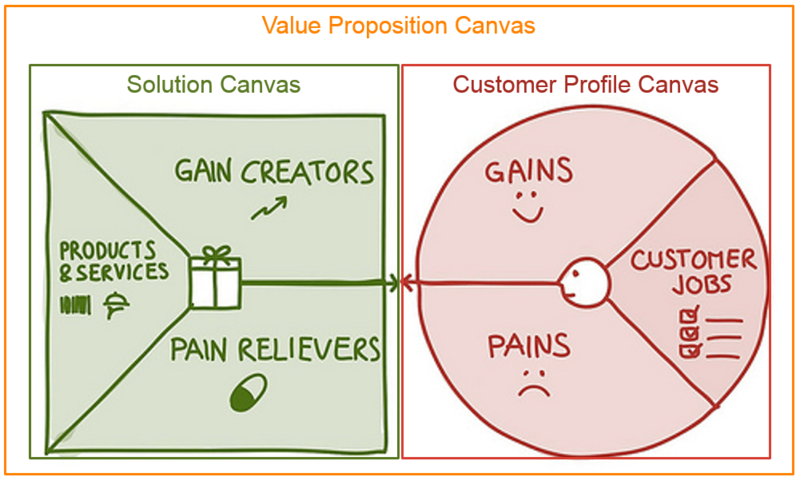 To do this we can use the solution canvas. A landing page test is simply an online sales page for the idea of your new product or service. The nice part about landing pages is they are quick and easy to setup and can provide directional feedback from users. The success metric of most landing pages is the number of “Learn More” clicks or email signups. Check out Launchrock.com, Instapage or Leadpages.net for easy to build landing page tools. Fake door testing usually involves a mockup website that looks like it has live links but doesn’t or has only a few live links that represent a “happy path” for typical users to experience. This sort of testing can be invaluable in gaining rapid feedback on the usability and appeal of a new website or application. The success metric of fake door tests is mostly qualitative feedback from the participant however you can always ask specific questions like “how likely would you buy this if it were available today?” to get some quantitative data. Check out Invision for easy to make app mockups. Video testing is simply creating a video that clearly illustrates a new idea by showing potential customers what the future would look like if your product or service were available. For example when Dropbox first started, before doing a lot of development work, they created a video that explained how the new service would work and showed it to people to get their feedback. The result was overwhelmingly positive which gave the development team confidence to build the production app. The success metric is similar to the above Fake Door test. To date Kickstarter has been the most successful platform for testing products using videos. The best resource in that case is finding someone who has done Kickstarter videos. Concierge tests are best suited for simulating complicated ideas that entail a fair amount of physical services to be performed. The idea behind a Concierge Test is that you have humans do all the services that you would include (whether by humans or automation) in your product or service idea and coordinate them manually. For example, in my post on the failed grocery delivery startup Webvan I mentioned that the best way they could have tested the idea of web-based grocery shopping and delivery before building it would have been to use a concierge test. The best resources for creating a Concierge Test are people so hit up your friends and family to see if they can devote a couple hours to your test and that’s all you’ll need. The success metric for Concierge Tests are three things: 1) qualitative feedback; 2) quantified answers to questions and 3) understanding and clarity around the logistics of coordinating the actual service. Wizard of Oz testing involves testing your product by using humans who are “behind the curtain” so to speak who manually carry out all the tasks that the user thinks are automated. For example when IBM first started testing the idea of speech dictation they setup a room with a microphone and a computer in it and invited participants to come and talk into the mic and watch their words appear on the computer as they spoke. Participants were impressed but what they didn’t know is that the mic wasn’t hooked into the computer but it was being piped to another room with a typist who typed what was being said and that then appeared on the computer screen. It seemed like software was doing the work but in reality it was someone behind the scenes. The success metric for Wizard of Oz tests are mostly qualitative though some quantitative questions could be asked and tracked as well. The best resource I’ve found for setting up Wizard of Oz testing is either people you know or services like Amazon’s Mechanical Turk. A low-fidelity prototype test can be thought of as simple as a rough drawing on a piece of paper to a 3-d printed, non-working example. An MVP prototype test is the smallest test we can devise to test a particular idea or hypothesis with a customer. This doesn’t have to be a working version of the product but it must at least simulate the experience of the idea well enough for someone to provide rich feedback. A high-fidelity prototype test usually involves testing the final or close to final version of a product with customers before moving to production. The success metric for all of these is both qualitative and quantitative. Often the best question to ask is “How likely would you be to purchase this solution?” If more than 15-20 people, in B2C settings, rate their likelihood to purchase as a 9 or 10 then you know you have something worth pursuing. Conversely if 6-8 people in a B2B setting rate it as a 9 or 10 then that’s a strong indicator as well. Typically it’s best to ignore scores below 9 because there is often too much noise in that kind of qualitative data that it has shown to not be a linear scale below 9-10. At the end of all of this testing you should be a lot clearer on who your customer is and what makes them excited. 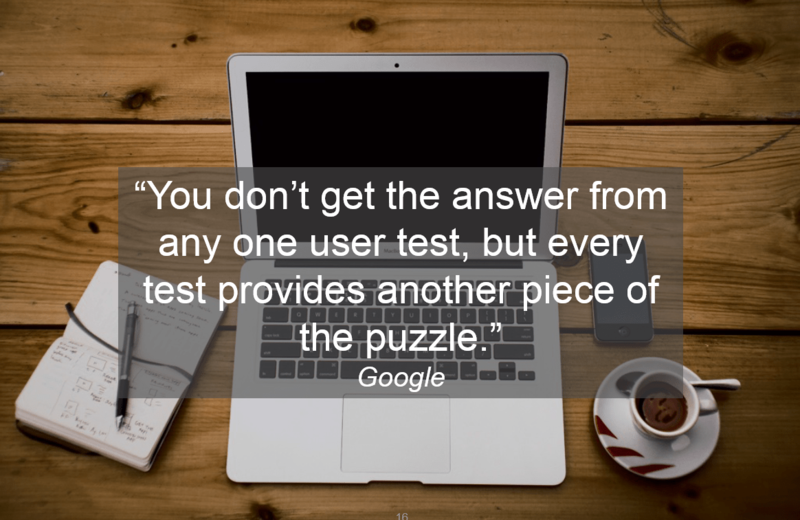 It’s important to note that each user test is but a piece in the overall puzzle you are trying to solve and that as you assemble more pieces you’ll better be able to figure out how they all fit together. One Response to "Customer Development: How To Understand, Empathize And Validate Ideas With Your Customer"